Looking to Generate Seller Leads? 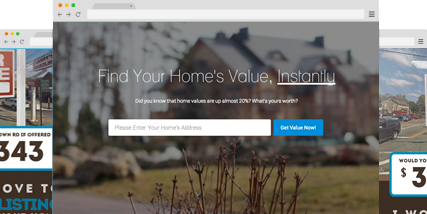 Our valuation tool, generates seller leads on the cheap. Within 3 days of visiting the website, all valuations get sent a custom Google Street View valuation postcard. I've been using LM and have 121 seller leads since Nov 1st. Of those, received 23 phone numbers. Total have 3 under contract to sell this spring so it's paid off. Please enter the below information to get started. Embed our valuation tool on your website, on your social media account & in your email signature. We also setup a Facebook ad that will drive people to this page. 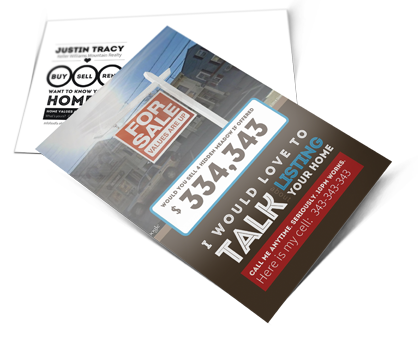 Leads visit the tool, enter their address & get mailed a postcard (w/ Google® street view image). An average of 30% of the leads will finish the form & enter their cell phone for you to contact about listing their property. How We Follow Up with Leads? Since we make the lead enter their cell to get the valuation we have a high rate of cell phone numbers. Using the first text message based CRM, we send text follow up messages to incubate the lead without you lifting a finger. "I just wanted to shoot a quick email and let you know that I have been set up on Listing Machine for 48 hours and I have received over 100 leads already! The system is working great and my listing agents are scrambling trying to keep up! I did exactly as you prescribed and added the link to my web site, email signature and, most importantly, to Facebook. The Facebook ad is generating the most traffic so far. Thanks again!" Copyright © 2019 Kunversion, LLC. All rights reserved.